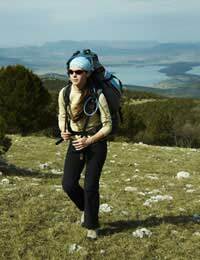 For those who are planning hiking in the great outdoors no trip should be without an emergency survival kit. Most walking trips should go off without a hitch. Nevertheless, it makes sense to be prepared for the unexpected. You may encounter sudden storms, get injured, become stranded or lose your way, so a survival kit means better safe than sorry. There are numerous emergency survival kits already made up which you can buy from outdoor adventure centres, tailor made for a variety of different activities, from land based adventures to water sports. However, many walking enthusiasts prefer to devise their own specifically based on the type of hiking they'll be undertaking, the length of the walk and the terrain they'll be crossing. Other considerations might include the weather, alongside any specific medications you might need to take. If you're putting your own emergency survival kit together, you should plan for the worst case scenario. Especially if you're not carrying camping equipment, you should take some form of waterproof and windproof material which you can erect as a makeshift shelter when hiking. Waterproof matches are a must (don't forget to keep them in a waterproof container). For back up, you should also take a secondary method of lighting a fire such as creating fire by friction. Being able to create a flame using traditional methods is not easily learned but is an extremely useful skill and also has the effect of bringing you closer to nature when walking. The ability to create fire is crucial in a survival situation and serves many purposes. It provides warmth, heat for cooking and can also be used to create smoke to attract attention in a rescue situation. Other useful items for the outdoors are a knife, a torch, a candle, some cord or rope, a spare compass, some water purification tablets and, of course, it should also include your first aid kit. Your kit should also contain some basic additional food and water supplies and, perhaps, an additional fleece to keep you warm. These issues should always be at the forefront of your mind when putting together your emergency kit. As such, here are some other useful items you might consider taking. Dark shoe polish can be used as fuel for a fire and the smell it gives off when used this way is also good at warding off animals, which can be important in the outdoors. Iodine tablets make a good alernative if you haven't got a water purification filter. A basic fishing line and a couple of hooks can sometimes be the difference between eating or not, so make sure they're in your emergency survival kit when hiking. Similarly, a snare wire is useful for catching small land based animals for food. A small mirror can make a useful signalling device and a magnifying glass can help to create fire. Ultimately, what you'll include in your emergency survival kit will be down to your own judgement, perhaps based on previous experience of a similar hiking trip you've undertaken and, as long as you remember the basics, you should be able to prepare for most eventualities. Along with the survival kit itself, it's important to know how each item fits into the plan and know how to use all of its contents, remembering to get your priorities right in the event that you have to implement your emergency strategy outdoors. A very good item to carry is a space blanket. It's lightweight, folds up small and can give warmth if you find yourself trapped somewhere for a period. You should always have a good waterproof jacket with you and head covering. Make sure, too, that there are pain killers of some kind, like ibuprofen, in your first aid kit. They can prove extremely useful. Finally, carry a mobile phone so you can call for help!